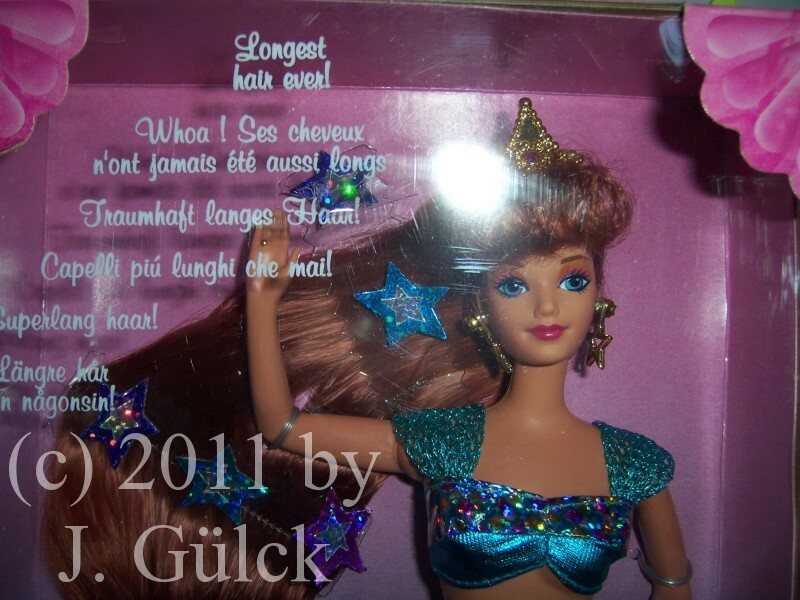 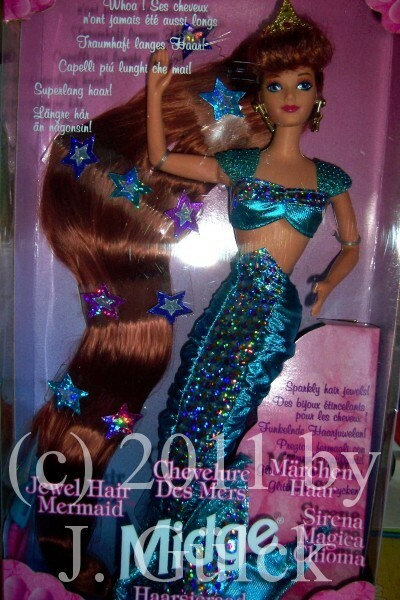 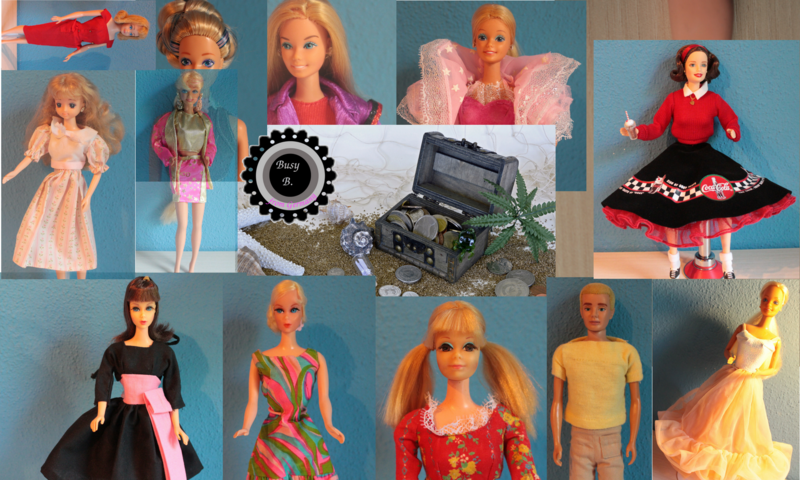 Today I’d like to show you my mermaid Barbie dolls. 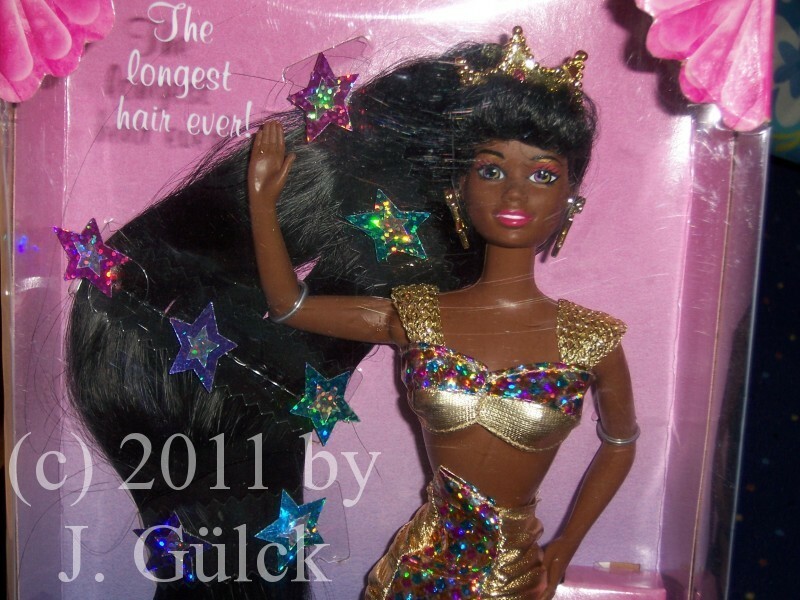 This series is called Jewel Hair Mermaid -series. The most important characteristic feature is the long hair. 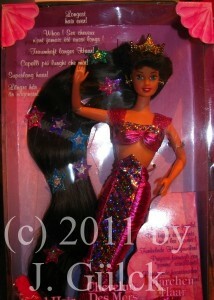 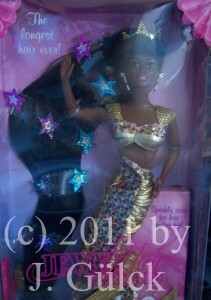 They are the Barbie dolls with the longest hair ever produced. 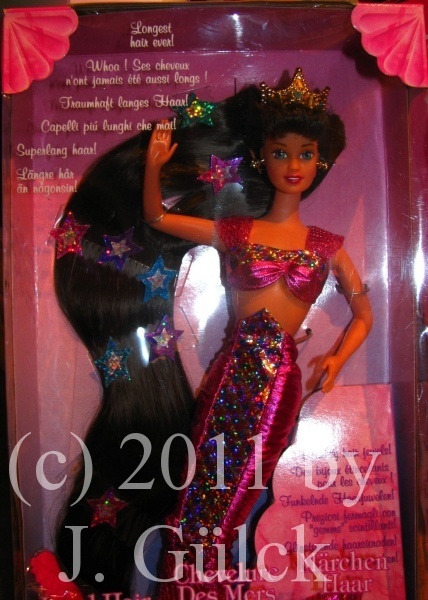 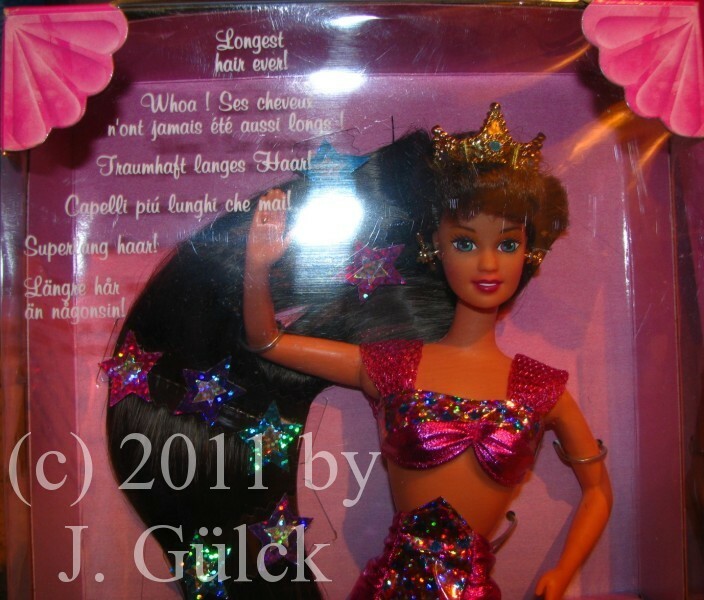 In the pictures below you can see the Jewel Hair Mermaid Barbie (afro-american version), the Jewel Hair Mermaid Midge and the Jewel Hair Mermaid Teresa.